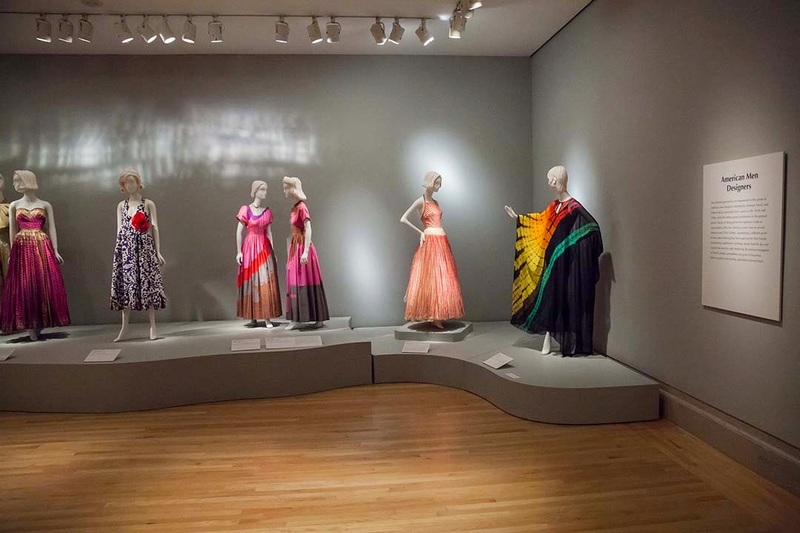 Two dazzling new world-class exhibits are lighting up museums in San Francisco this spring. 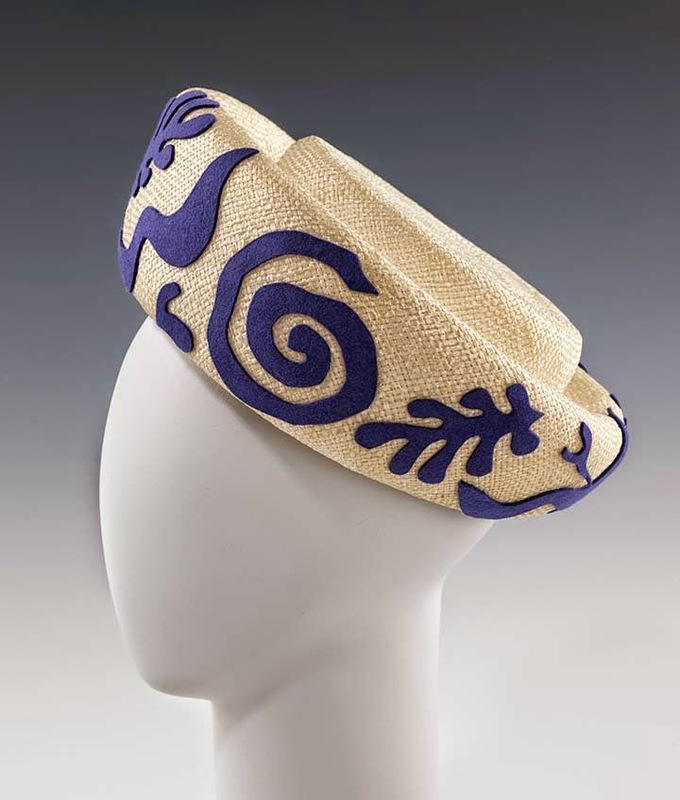 These presentations are essential eye delight and brain stimulations for everyone who loves painting, fashion, style, creativity and beauty. 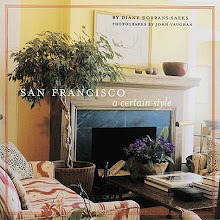 For my friends who are thinking of planning an escape to San Francisco—or who may be coming here soon on a business trip—please book in advance online. The shows have just opened and they’re very popular. 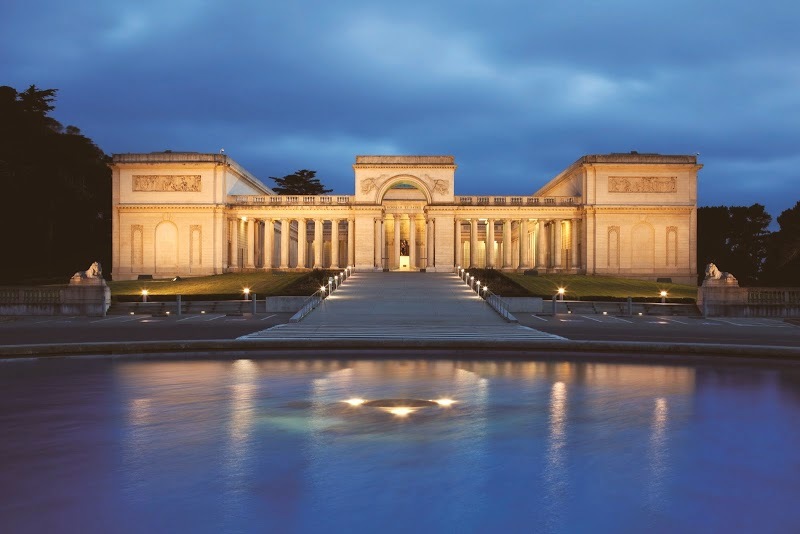 I know you’ll love to explore the very special ‘Botticelli to Braque’ at the de Young Museum in Golden Gate Park. 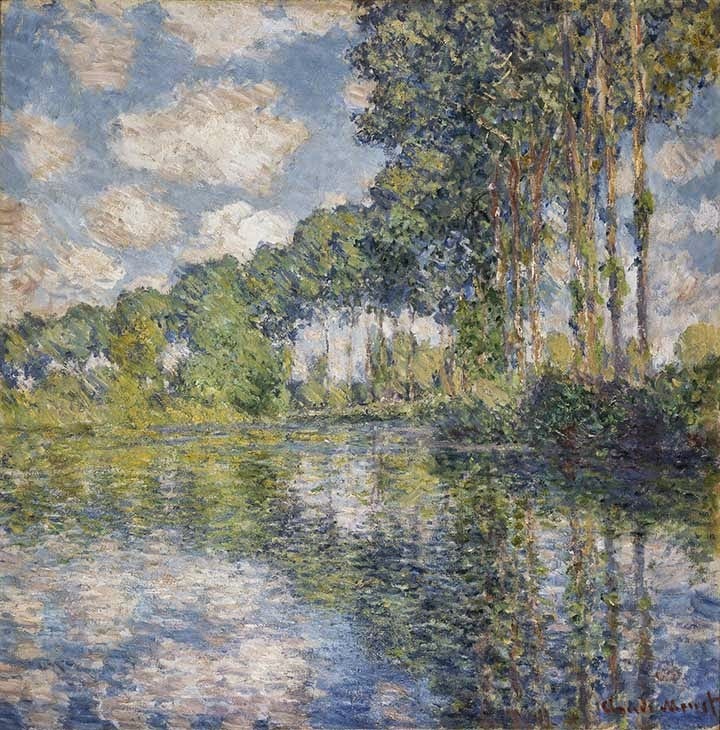 This blockbuster presents paintings from the collections of the National Galleries of Scotland. 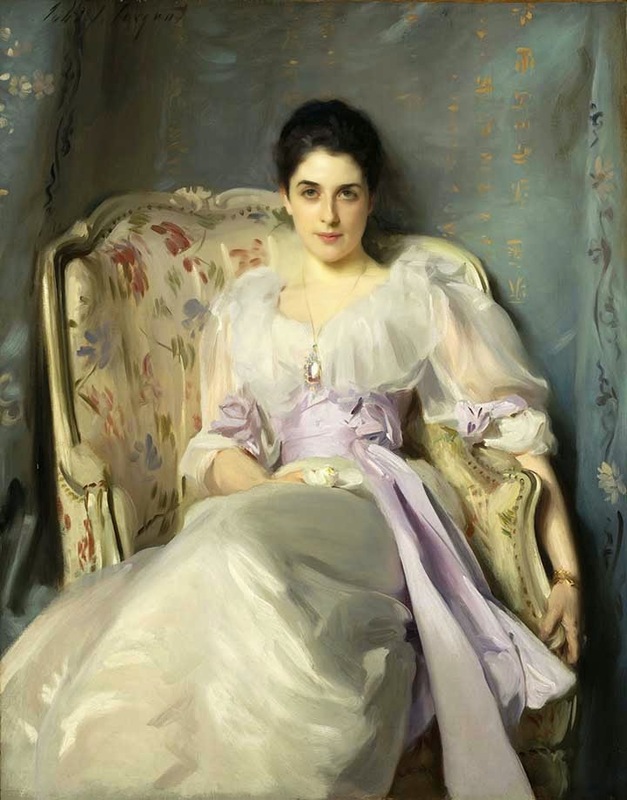 Among the highlights of this show are one of my favorite portraits, the John Singer Sargent painting of Lady Agnew of Lochnaw (1892), one of Sargent’s finest depictions, with a fine sense of style and harmonious color tonality. 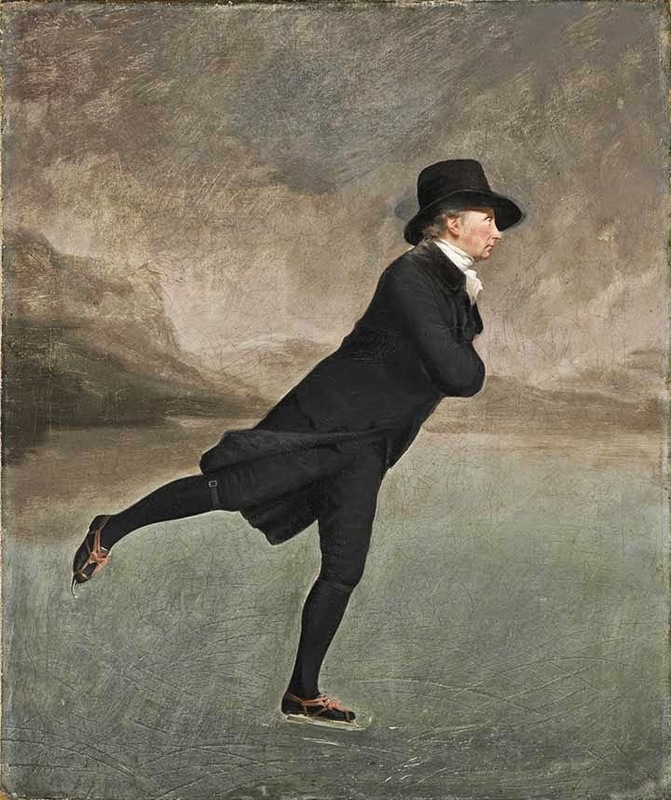 But the painting I am extremely thrilled to see is the beguiling Sir Henry Raeburn painting of Reverend Robert Walker Skating on Duddington Loch (1795). 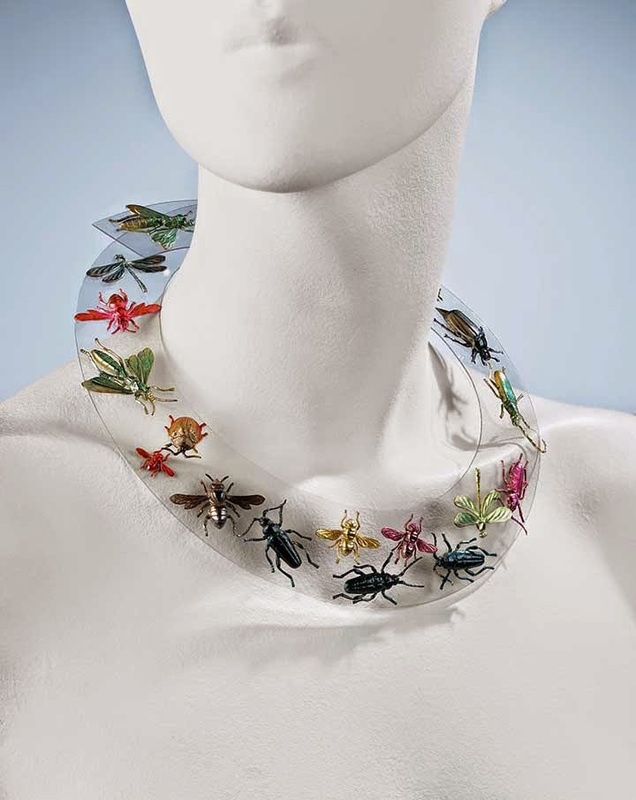 I discovered it some years ago at the National Gallery of Scotland in Edinburgh. 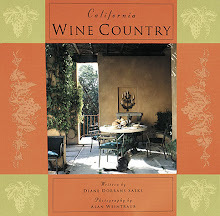 It is full of charm and humor, and it seems that this is the first time it has traveled to America. 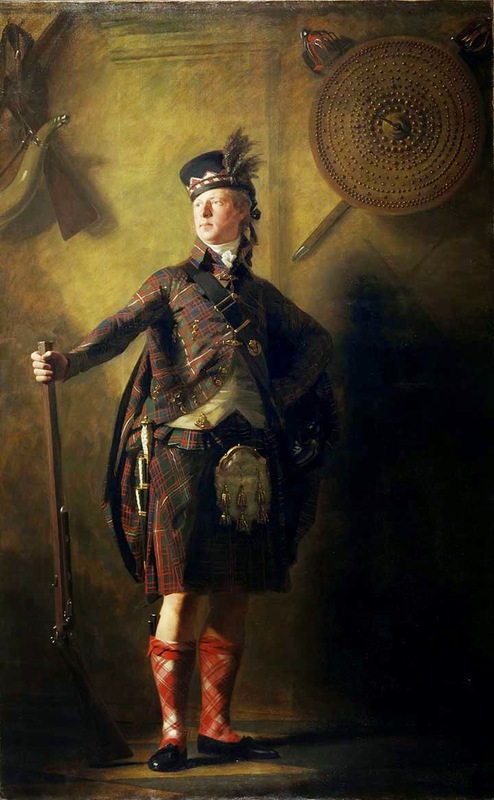 This Raeburn is a Scottish national treasure and I assumed the Scots would simply and clearly not let it travel. 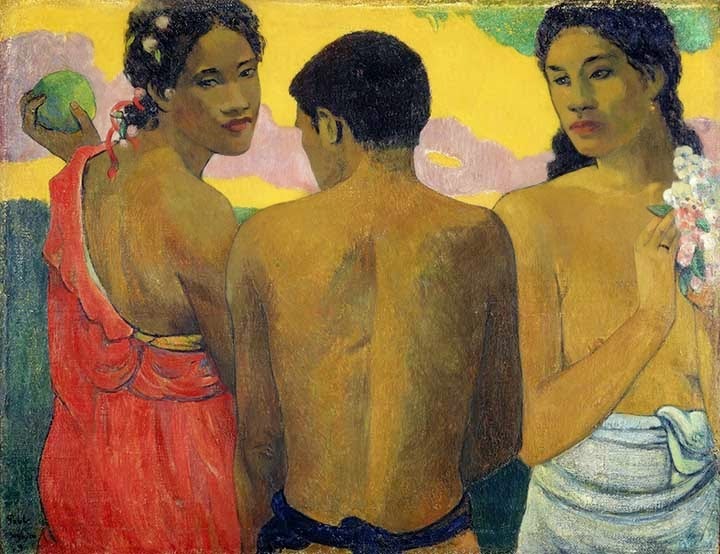 But the great Colin B. Bailey, director of the Fine Arts Museums of San Francisco, insisted that this painting was essential to the exhibit. Come and enjoy it, thanks to Colin. 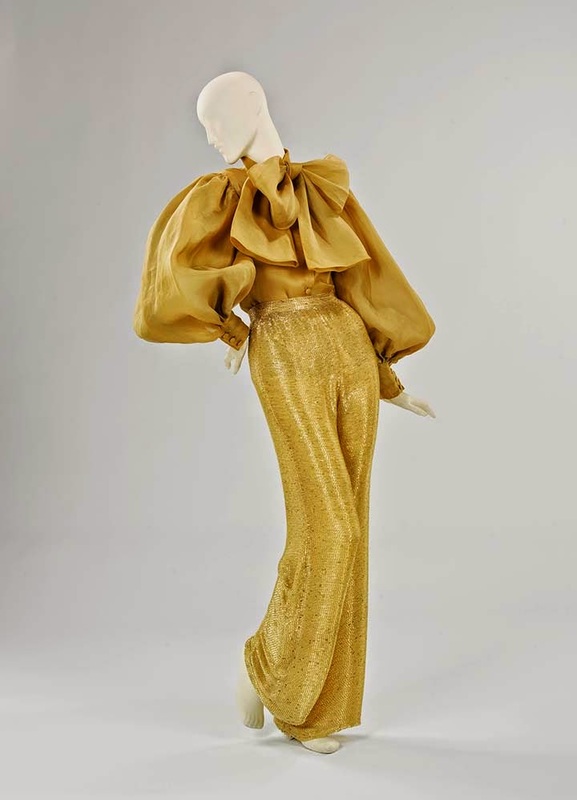 And over at the Legion of Honor is a small but compelling collection of fashion from the Brooklyn Museum. 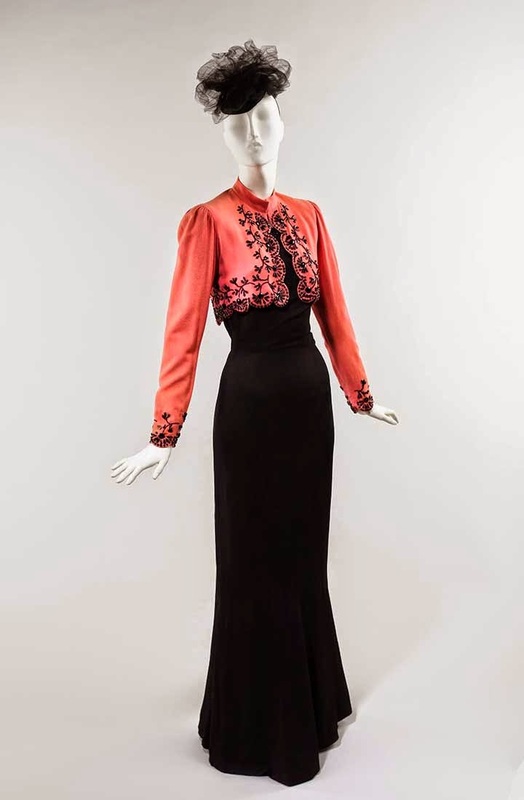 I know you’ve love the Schiaparelli jacket and a series of gowns by French designers. Delicious. 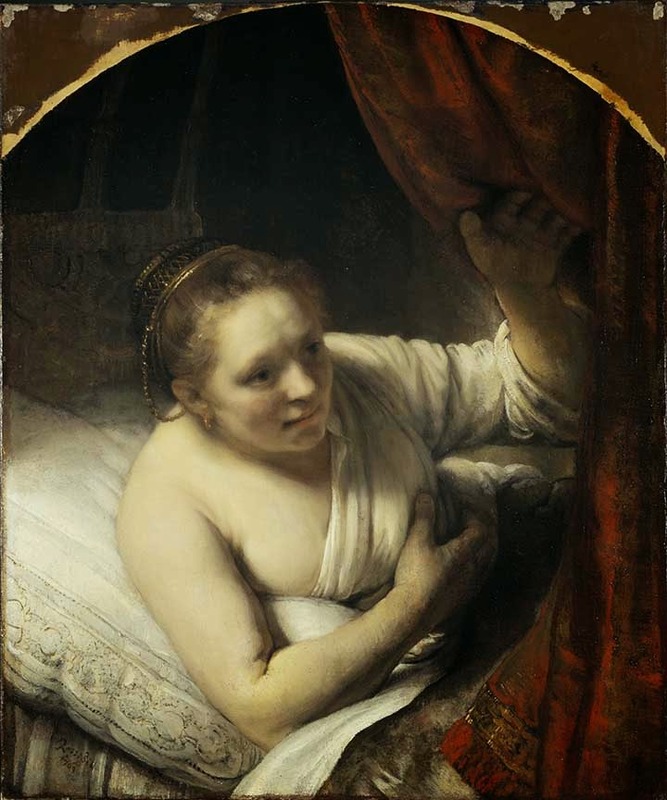 Fifty-five paintings in the exhibition span a period of more than 400 years (1490–1932) and include some of the greatest holdings of the Scottish National Gallery, Scottish National Portrait Gallery and Scottish National Gallery of Modern Art—the three institutions that comprise the National Galleries of Scotland in Edinburgh. 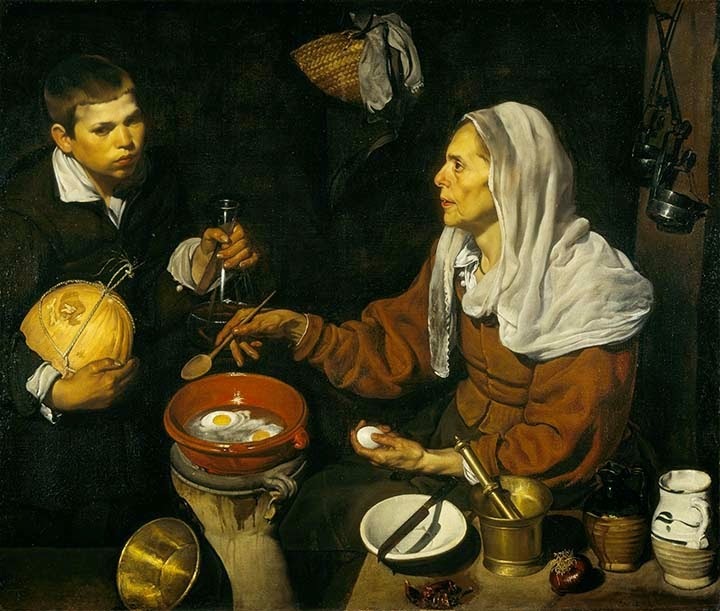 The paintings from the Scottish National Gallery include the major schools of art including—Italian, French and Dutch, in addition to Scottish. 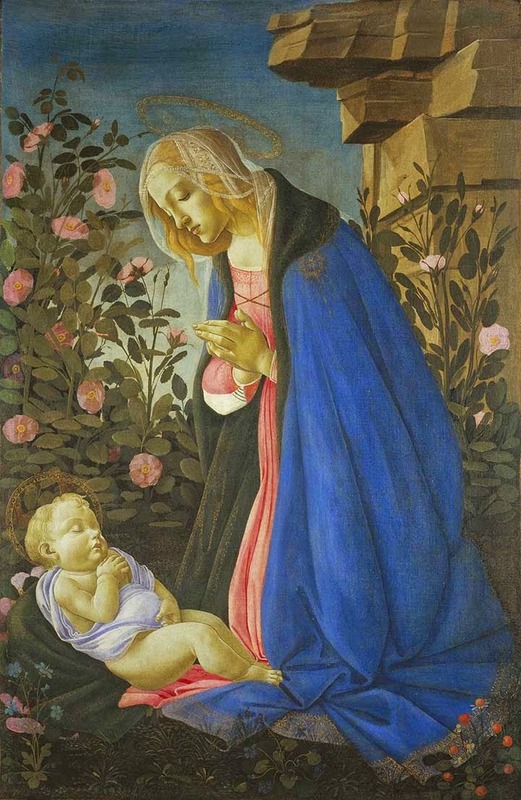 Many of these works have never been seen in the United States, including Sandro Botticelli’s Virgin Adoring the Sleeping Christ Child (ca. 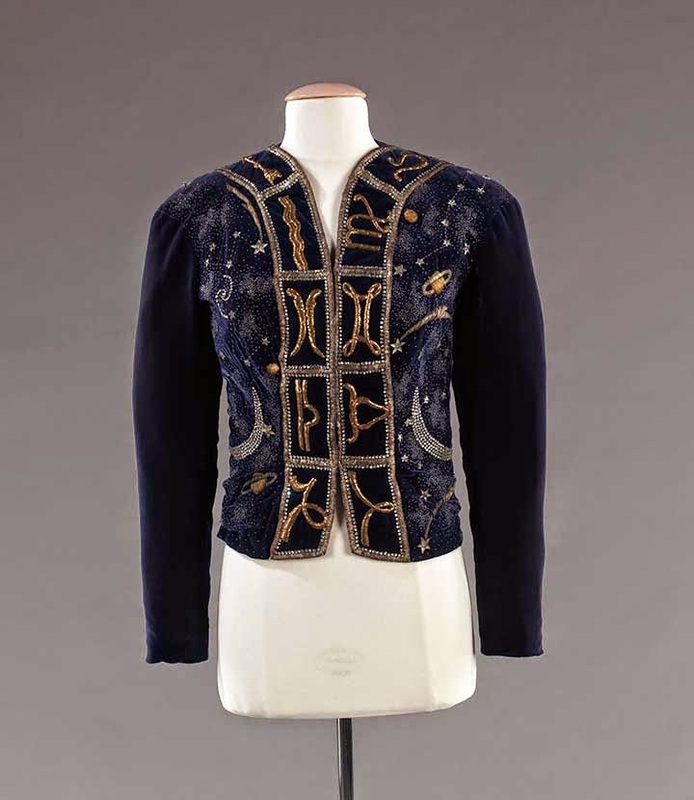 1490), which has not been exhibited outside of Scotland for more than 150 years. 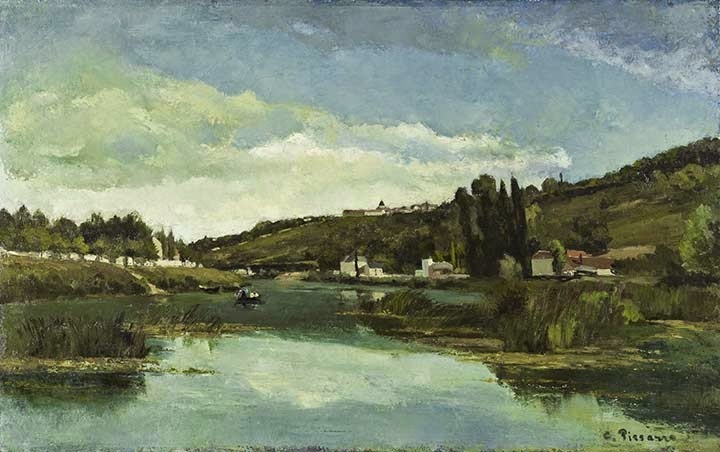 Other artists include the Renaissance masters Titian and Paolo Veronese; the 17th century painters El Greco, Diego Velázquez, Sir Anthony van Dyck, Frans Hals, Jan Lievens, Rembrandt van Rijn and Johannes Vermeer; and such 19th century figures as Camille Pissarro, Edgar Degas, Claude Monet, John Singer Sargent, Paul Gauguin and Paul Cézanne. 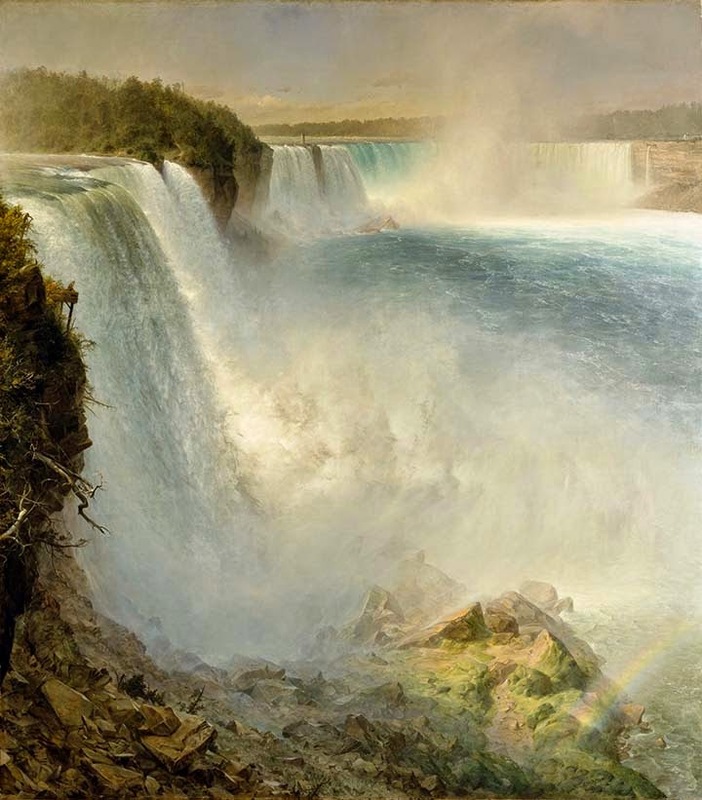 The exhibition will also feature celebrated Scottish painters Allan Ramsay and Sir Henry Raeburn. 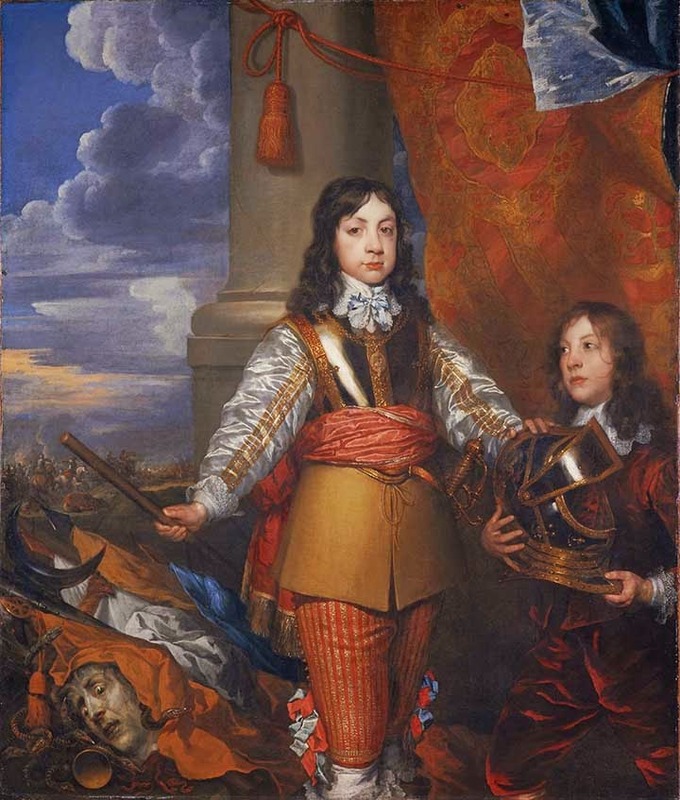 Additional pieces from the Scottish National Portrait Gallery include canvases by Van Dyck, William Dobson, Sir David Wilkie and Richard Dadd. 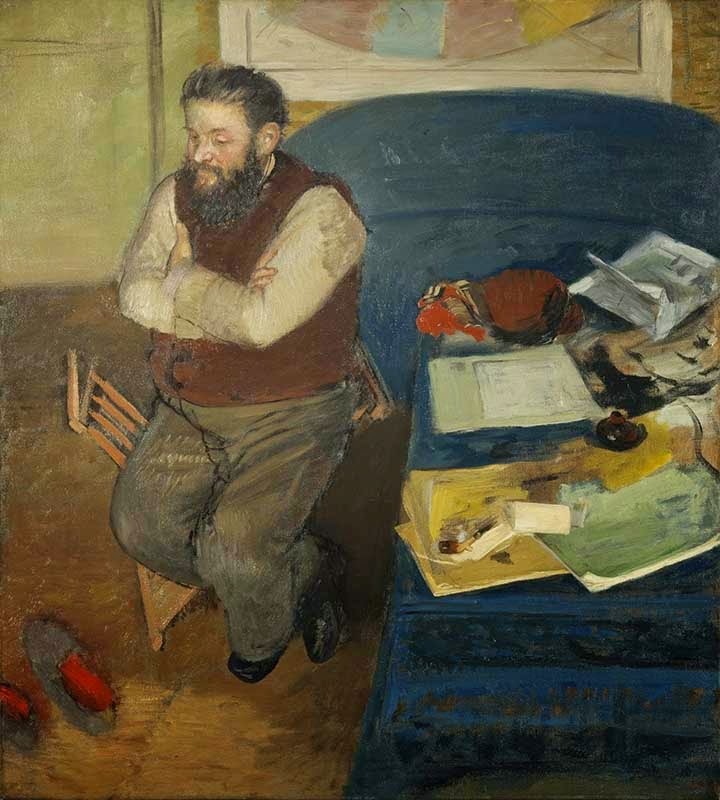 From the Scottish National Gallery of Modern Art are key paintings by Édouard Vuillard, Pablo Picasso, André Derain, Pierre Bonnard, Henri Matisse and Max Ernst. 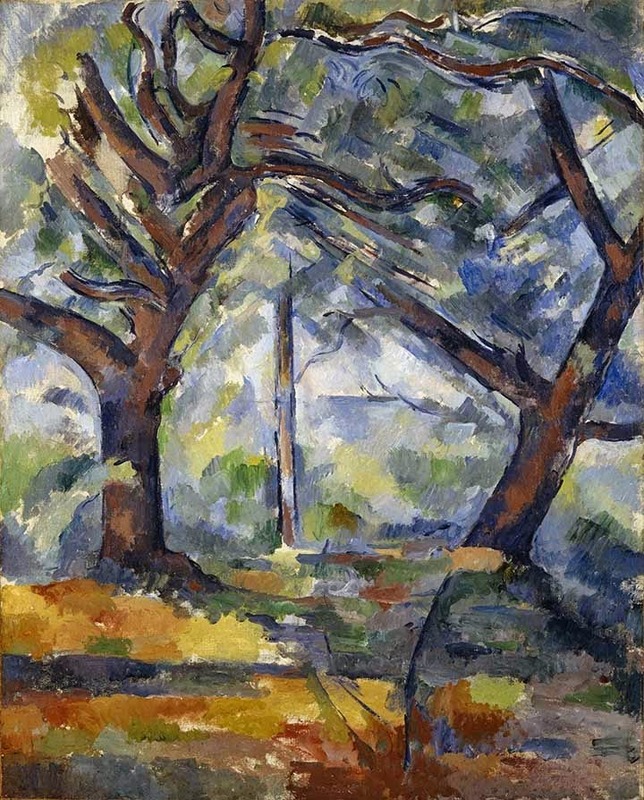 A particular highlight of the exhibition is Georges Braque’s Candlestick (1911), among the first Cubist paintings to incorporate the written word. 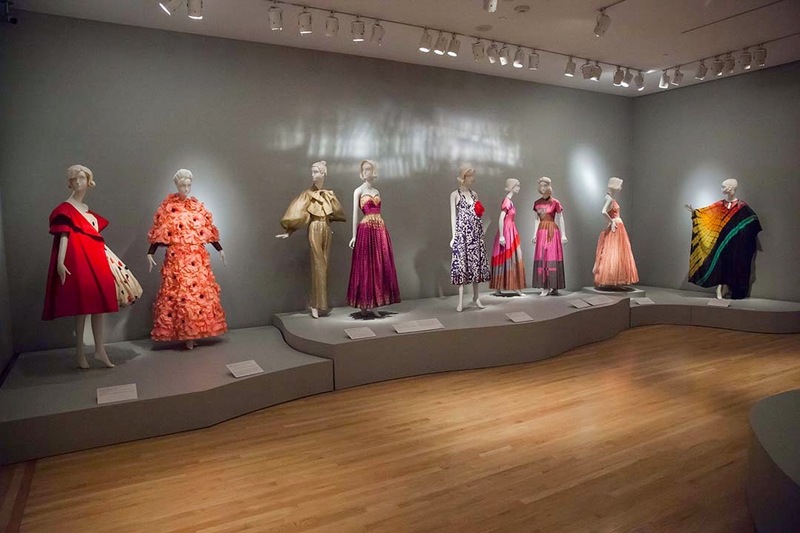 High Style: The Brooklyn Museum Costume Collection, a landmark exhibition of 20th century masterworks from the Brooklyn Museum Costume Collection traces the evolution of fashion from 1910 to 1980. 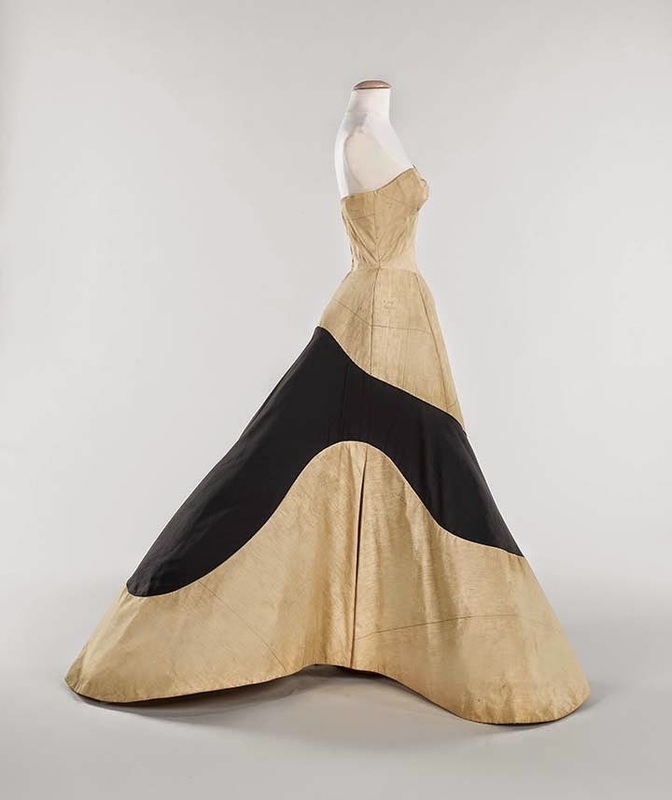 High Style reveals the breadth of the Brooklyn collection, with seminal pieces by some of the most important American and European fashion designers from the period, including the influential British-born designer Charles James. 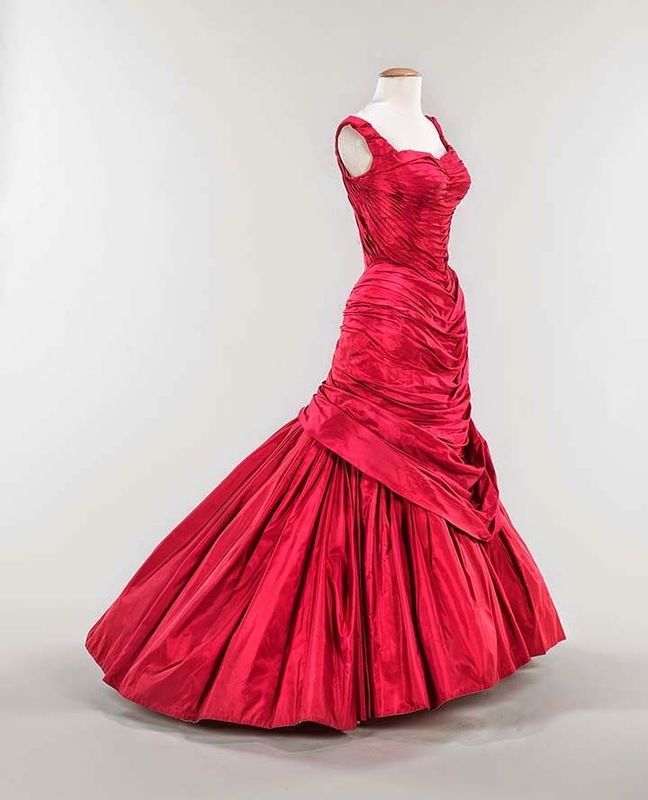 The Brooklyn Collection, now a part of the Met’s Costume Institute, includes the most comprehensive assemblage of pieces by American fashion designers, and the definitive holdings of Charles James designs and archival materials. 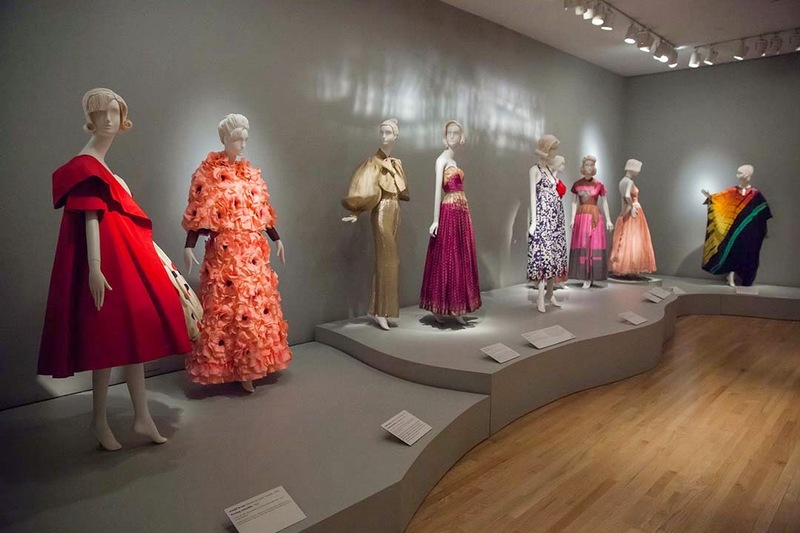 This exhibition, originally on view at the Brooklyn Museum was curated by Jan Glier Reeder, now consulting curator at The Costume Institute. 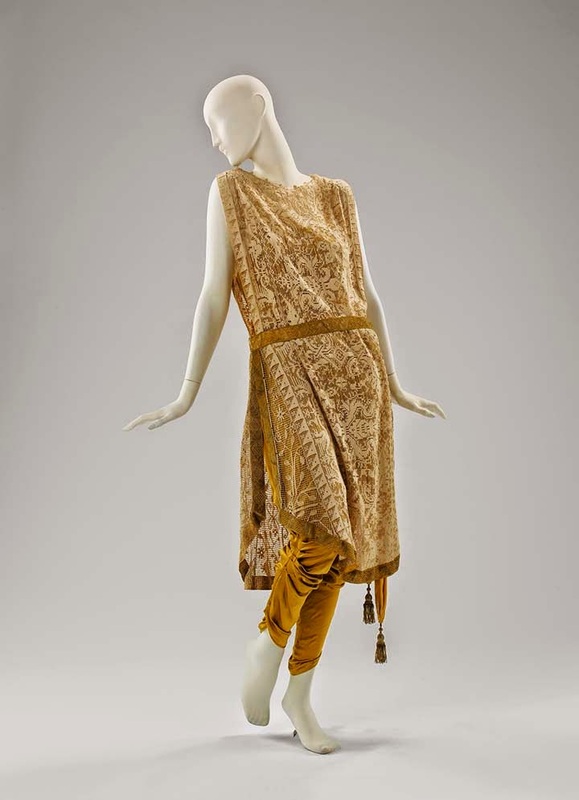 The exhibition displays 65 mannequins dressed in a wide range of pieces, alongside 35 accessories, including hats and shoes, and related fashion sketches. 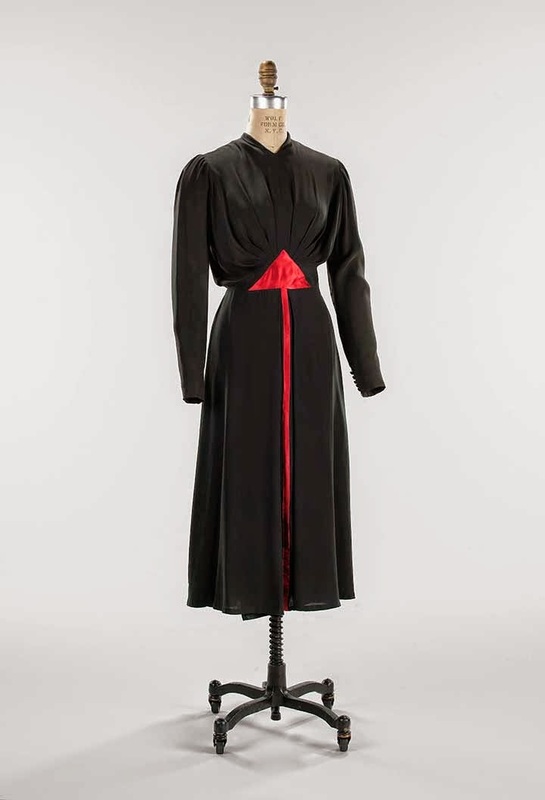 Significant looks from French couture houses include designs by Christian Dior, Jeanne Lanvin, Madeleine Vionnet, and the iconoclastic surrealist designer Elsa Schiaparelli. 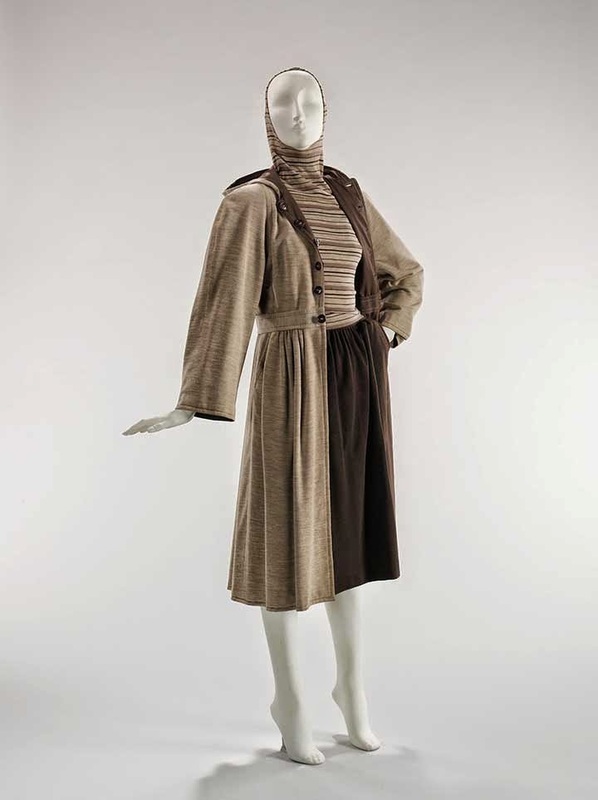 Additional attention is given to the pioneering generation of American women designers working in the 1930s through the 1950s, such as Bonnie Cashin, Elizabeth Hawes, and Claire McCardell, and their male counterparts, including Norman Norell, Mainbocher, and Gilbert Adrian. 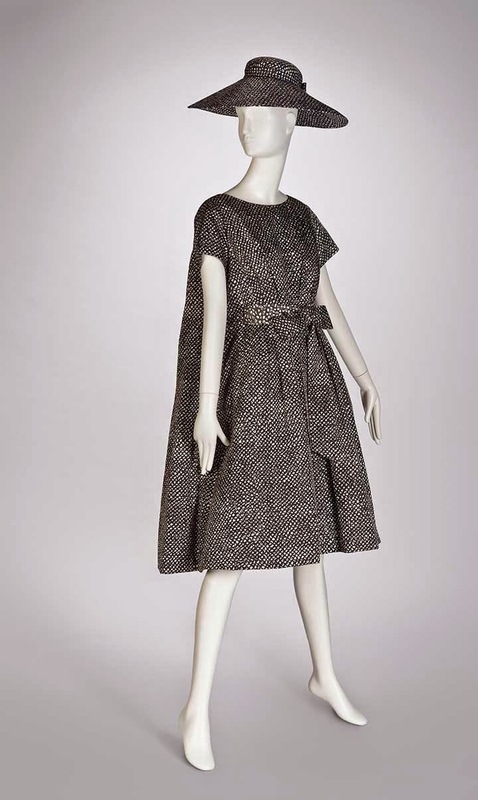 “Refrain” Cocktail Dress, Spring/Summer 1958. 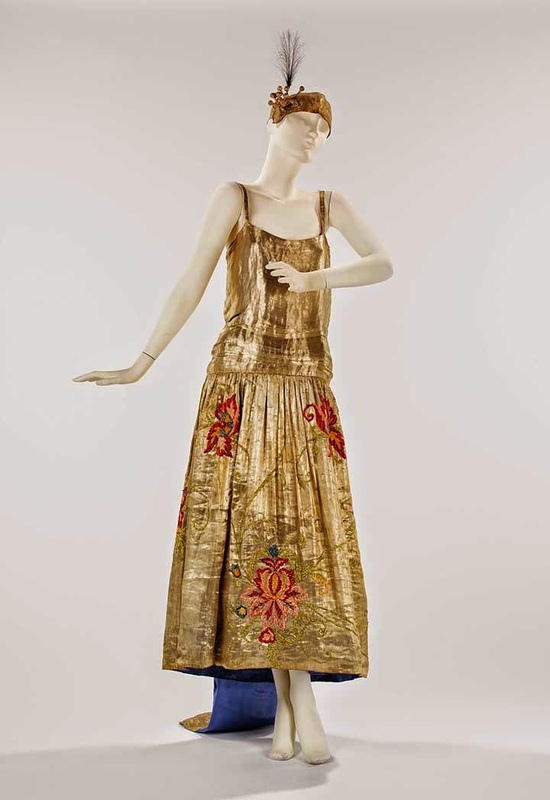 “This is a unique opportunity to celebrate masterworks of both American designers and early 20th century French couturiers,” added Jill D’Alessandro, curator of costumes and textile arts at the Fine Arts Museums of San Francisco. 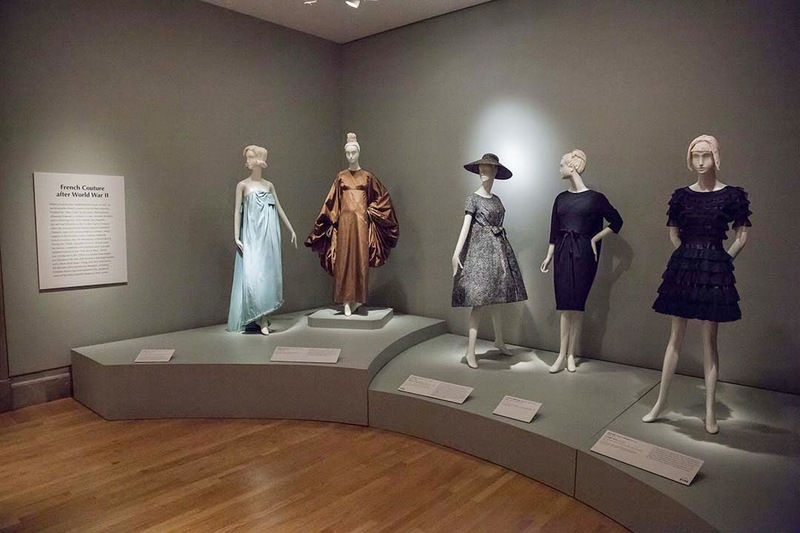 A section of the exhibition devoted to Charles James includes 25 objects—nine ensembles, 12 sketches, and five prototype muslins that illuminate the technical mastery behind James’s highly constructed gowns. 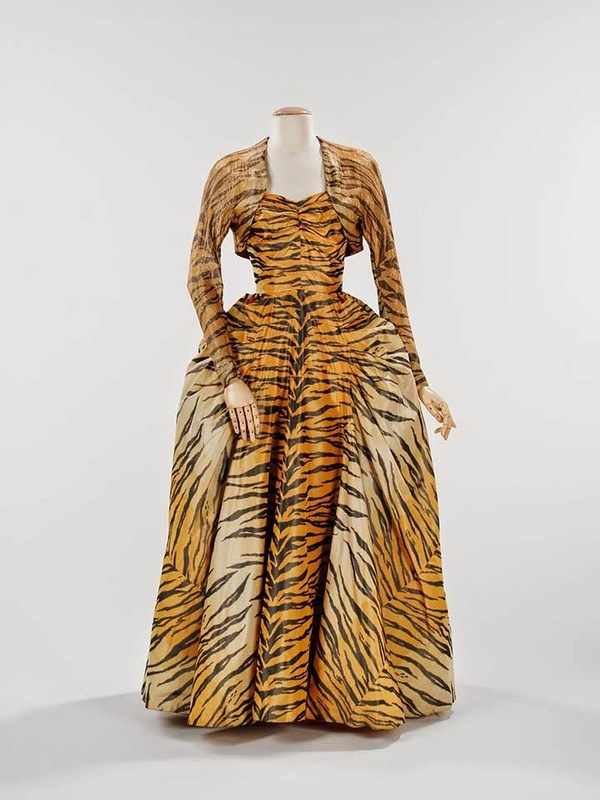 Other highlights include Schiaparelli’s 1938 surrealist necklace of brightly colored tin insects, and a 1949 tiger-striped silk ball gown by Adrian. 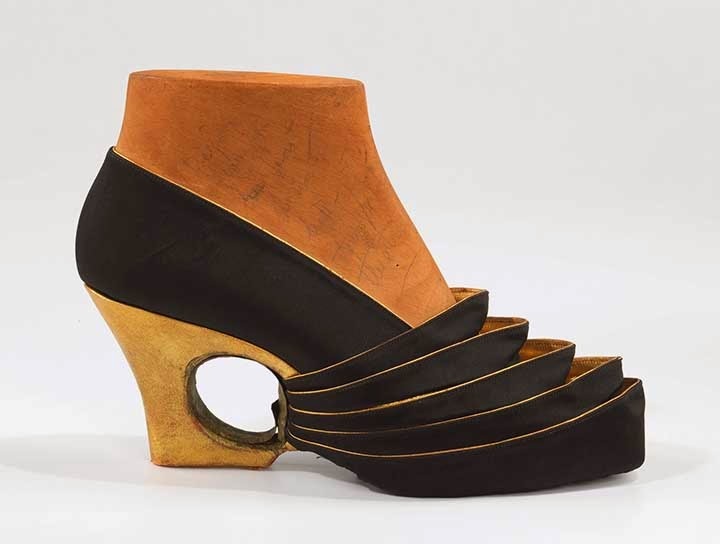 The exhibition includes digital design by Diller Scofidio + Renfro, the New York-based interdisciplinary design studio that integrates architecture, the visual arts and the performing arts. 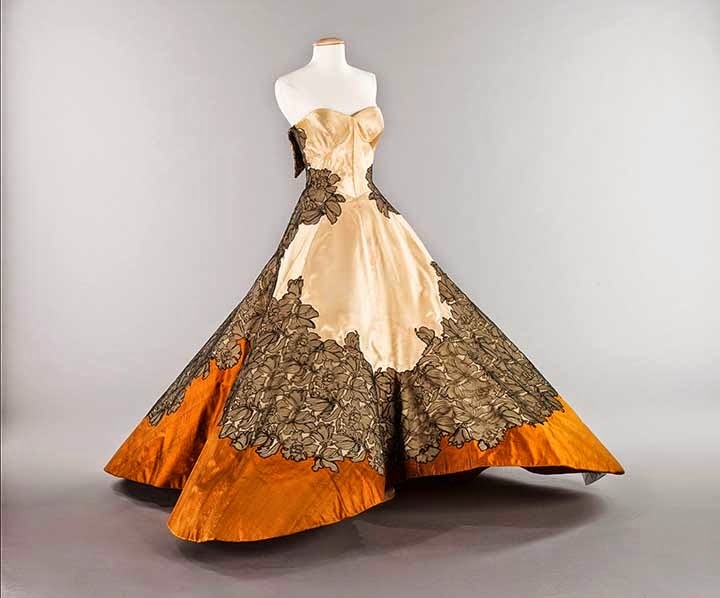 The digital animations, originally created for Charles James: Beyond Fashion at the Metropolitan Museum of Art, analyze the form and structure of the gowns using 3D scans, 360 photography, x-rays, and microscopy. 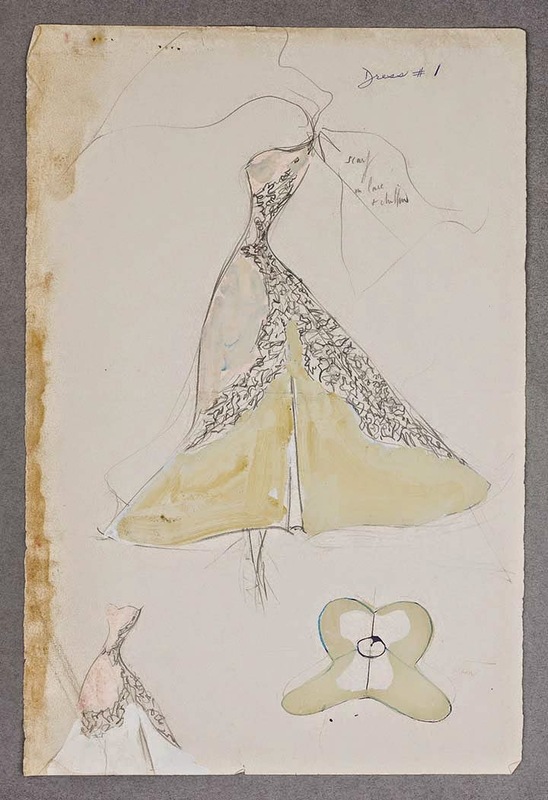 Four of these animations supplement the presentation of Charles James gowns that appear in High Style. 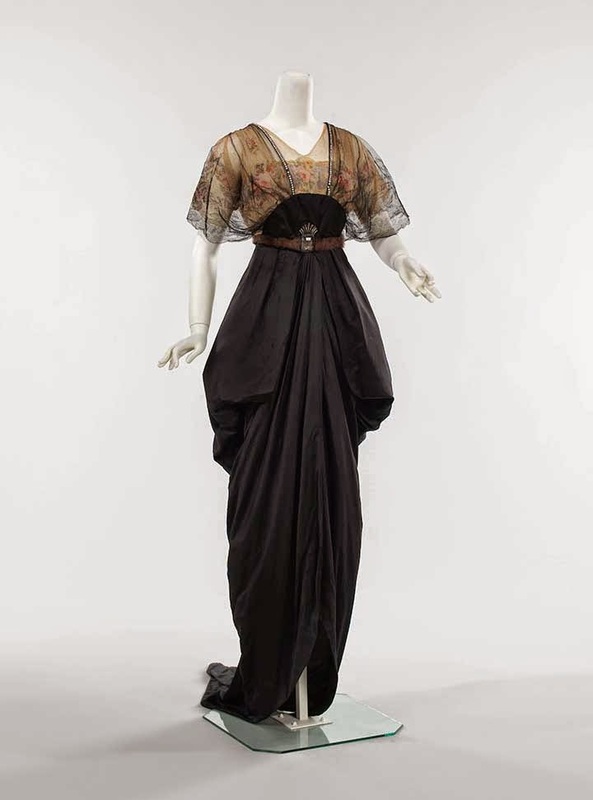 The de Young originated from the 1894 California Midwinter International Exposition and became the Memorial Museum. 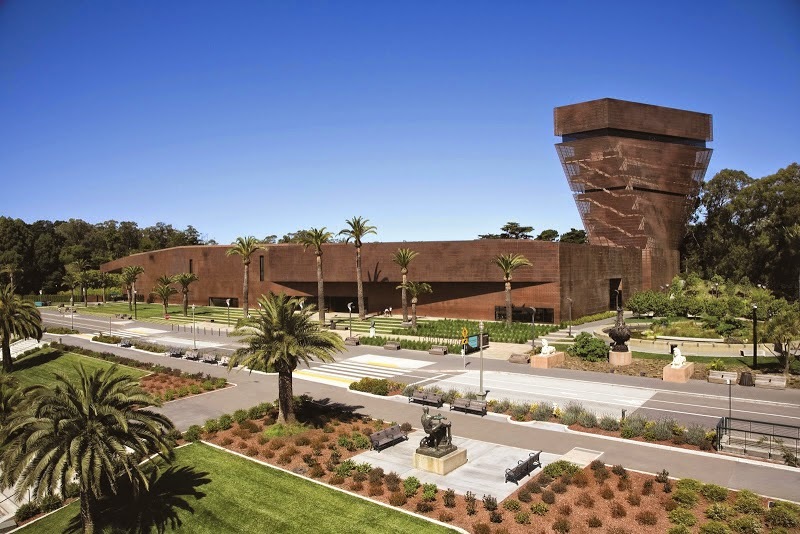 Thirty years later, it was renamed in honor of Michael H. de Young, a longtime champion of the museum. The present copper-clad landmark building, designed by Herzog and de Meuron, opened in October 2005. 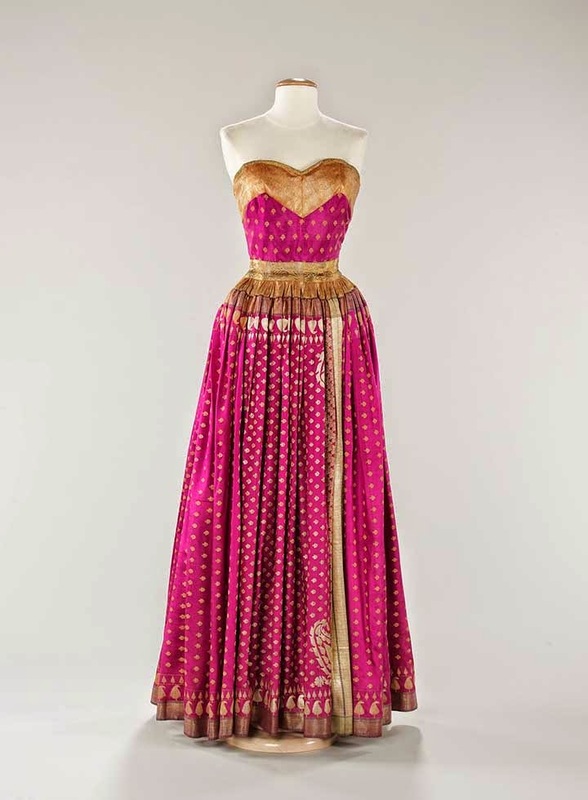 It showcases the institution’s significant collections of American painting, sculpture, and decorative arts from the seventeenth to the twenty-first centuries; art from Africa, Oceania, and the Americas; costume and textile arts; and international contemporary art. 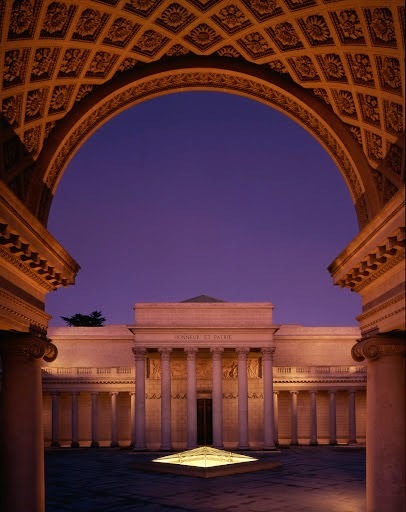 The California Palace of the Legion of Honor was inspired by the French pavilion at San Francisco’s Panama Pacific International Exposition of 1915, which was a replica of the Palais de la Légion d’Honneur in Paris. 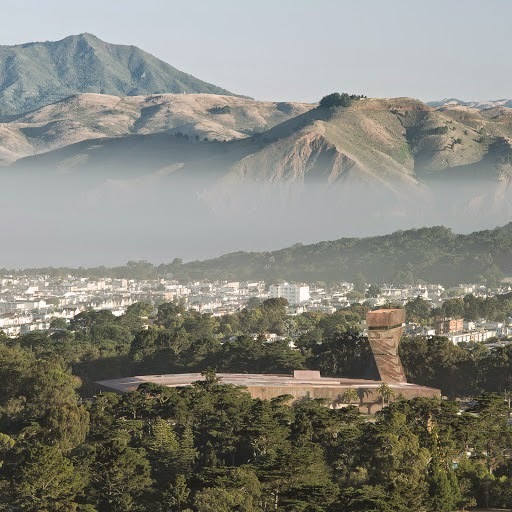 The museum opened in 1924 in the Beaux Arts–style building designed by George Applegarth on a bluff overlooking the Golden Gate Bridge. 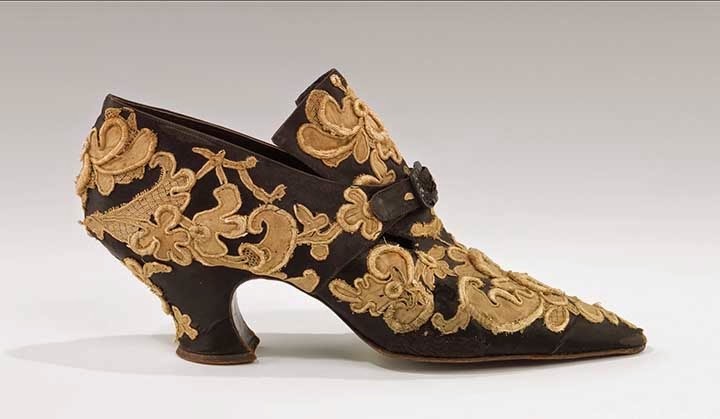 Its holdings span four thousand years and include European painting, sculpture, and decorative arts; ancient art from the Mediterranean basin; and the largest collection of works on paper in the American West. 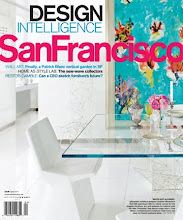 Images are courtesy of the Fine Arts Museums of San Francisco and used here with express permission. All images are copyright. 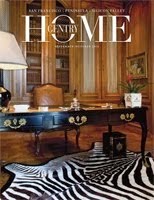 We’ll tour the best of Scandinavian design—both the modern approach and the truly classic ‘cozy’ style. 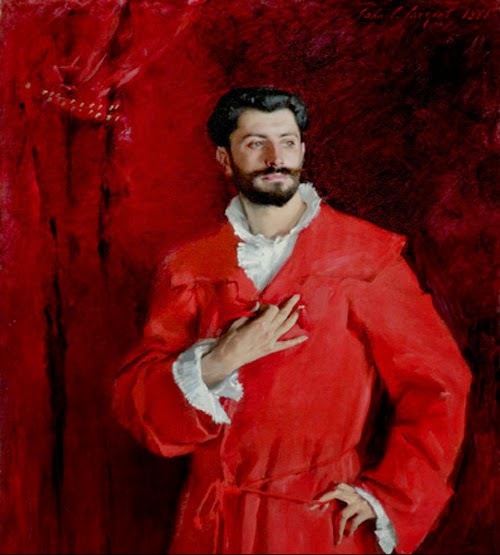 And we will admire John Singer Sargent and his friends. Oh, and take a quick glance at the new Kazuo Ishiguro work. Yes, I occasionally read fiction. 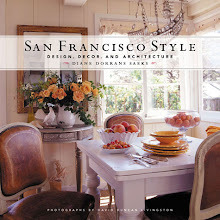 Come with me for highlights of the new Spring 2015 style and design books—and to take surprising and inspiring look at my new favorites. 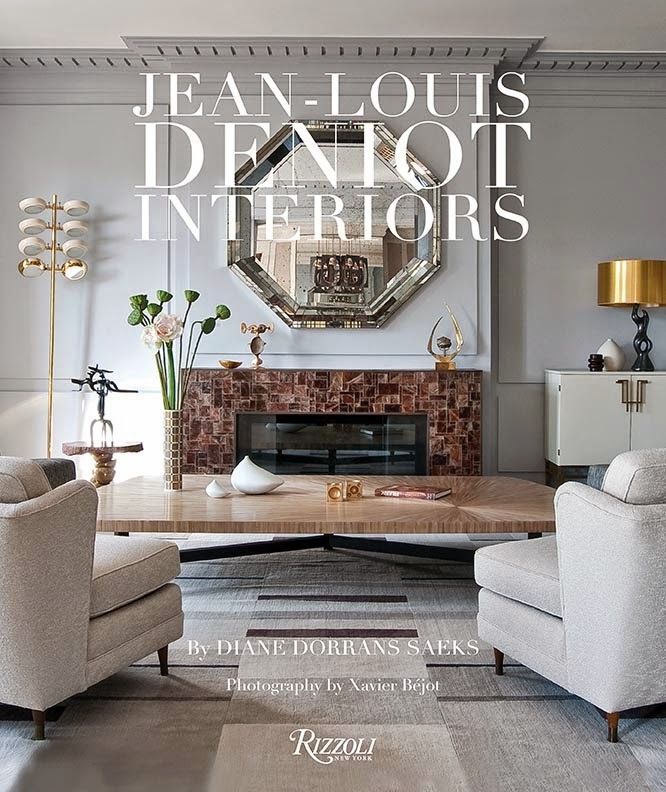 Charlotte Moss is a longtime friend, and admire the way she has forged a fantastic career in the design and style world, designing rooms and fabrics and furniture, and publishing a dozen books, all with her focused and cohesive approach to elegance and design and comfort. 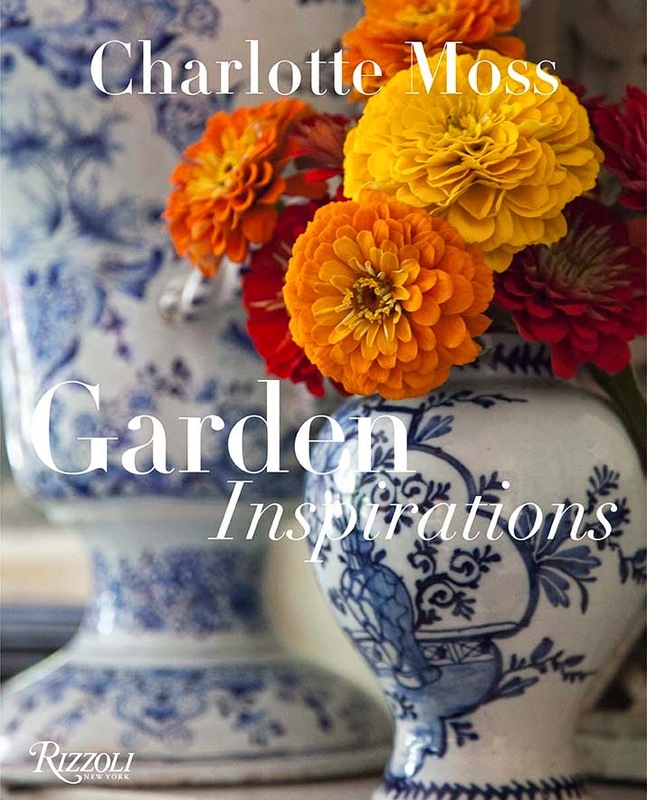 CHARLOTTE MOSS: GARDEN INSPIRATIONS by Charlotte Moss (Rizzoli New York) shows the many ways the garden provides her with inspiration for interiors as well as country landscapes, city terraces, and even window boxes and small balconies. 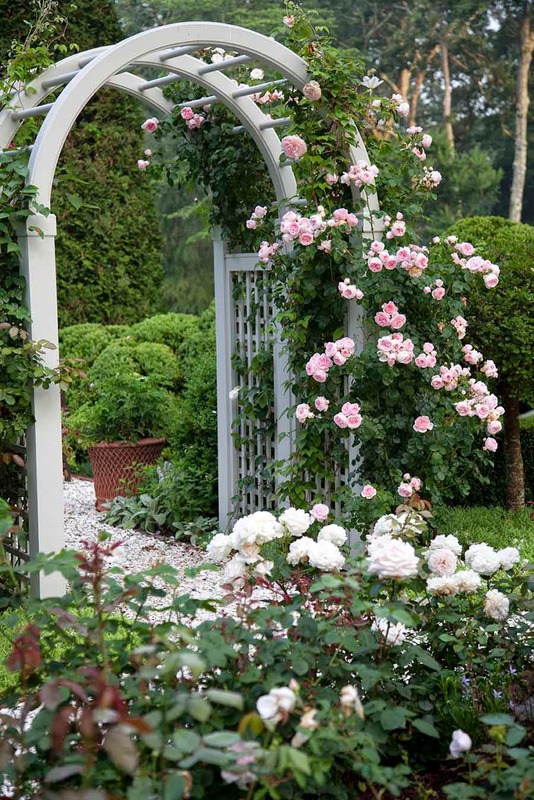 Charlotte’s passions for nature and garden style have led her to study gardens all over the world. I often receive emails from her—from Versailles or the Loire Valley or the South of France or Belgium or deep in the Cotswolds—when she is spending summer weeks studying garden design. 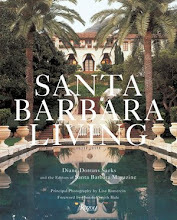 Charlotte notes that this book, her favorite so far, is not a "gardening book" but rather a "book on gardens and ideas.” Gardens have influenced her decorating, collecting, dining, and style of entertaining. 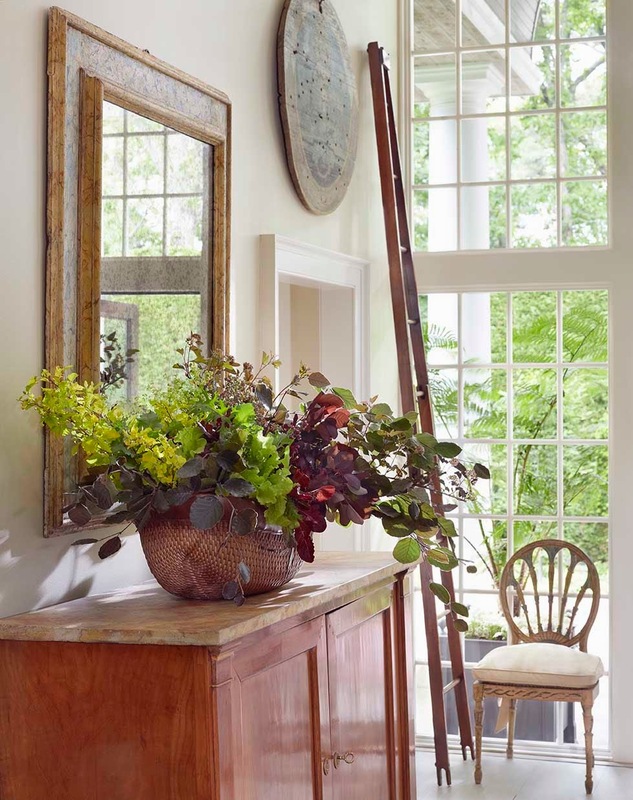 There are serene nooks for relaxing, and ideas for sculpture and decorative objects. 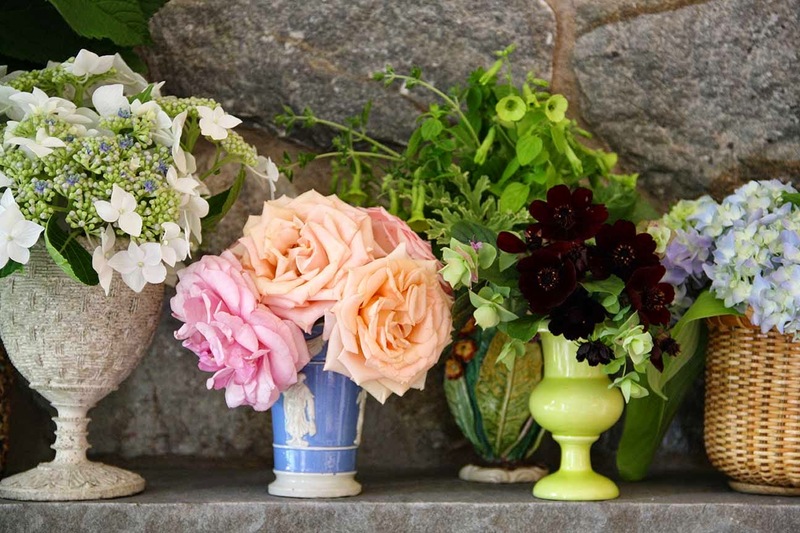 In the “Blossoms & Bouquets” chapter, she shares practical tips on floral creations—from single blossoms to wildflowers, foliage, her beloved roses, and edible arrangements, as well as choosing the perfect container and vase to display them in each room. 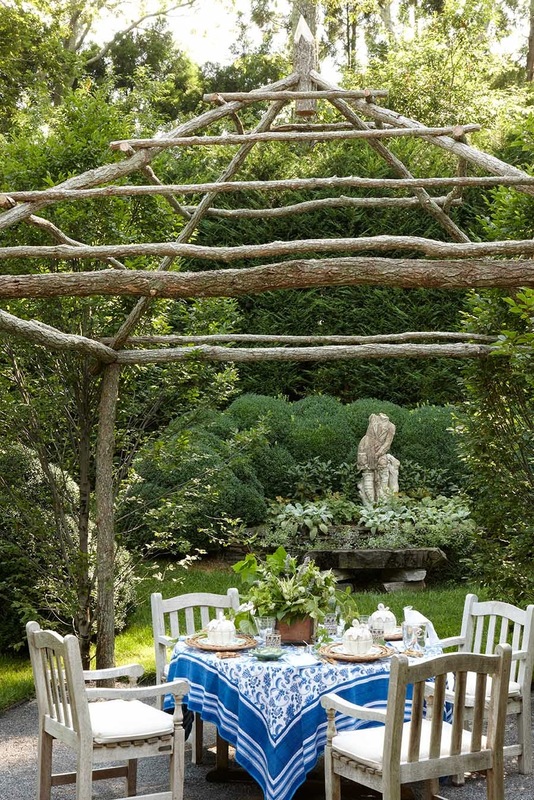 For entertaining outdoors, the garden is her setting, and with city dinner parties, luncheons, and teas the garden is her muse. 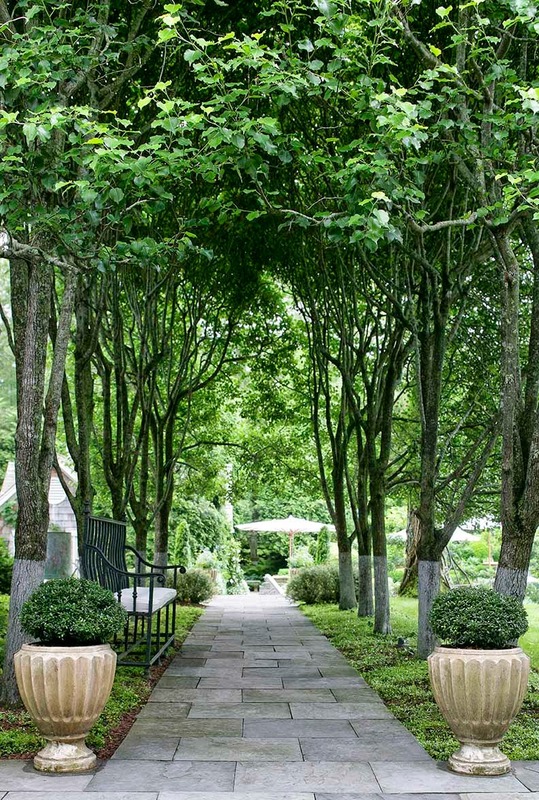 The linens, tablescapes—even the menu—are all touched by her garden ideas and artful concepts. 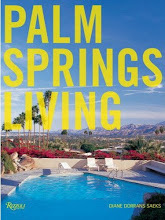 This is a book to keep in hand when seed and garden catalogs arrive, and when nurseries fill with spring and summer planting. Dreamy images. 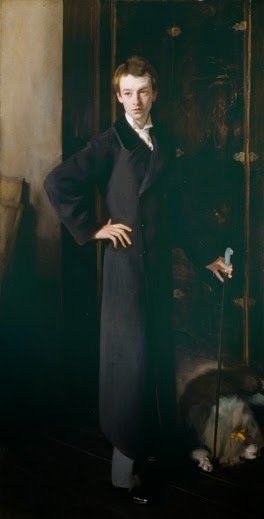 John Singer Sergeant has long been one of my favorite portrait painters—for the elegant and stylish way he painted his subjects. In particular, I’ve always been captivated by the many portraits he painted in Venice all with the soft-focus hues of summer heat. Sargent’s portraits and watercolor images of his friends lolling on gondolas bobbing on the Grand Canal in the flickering sun beneath the Rialto Bridge capture the indolence of Venice in August. 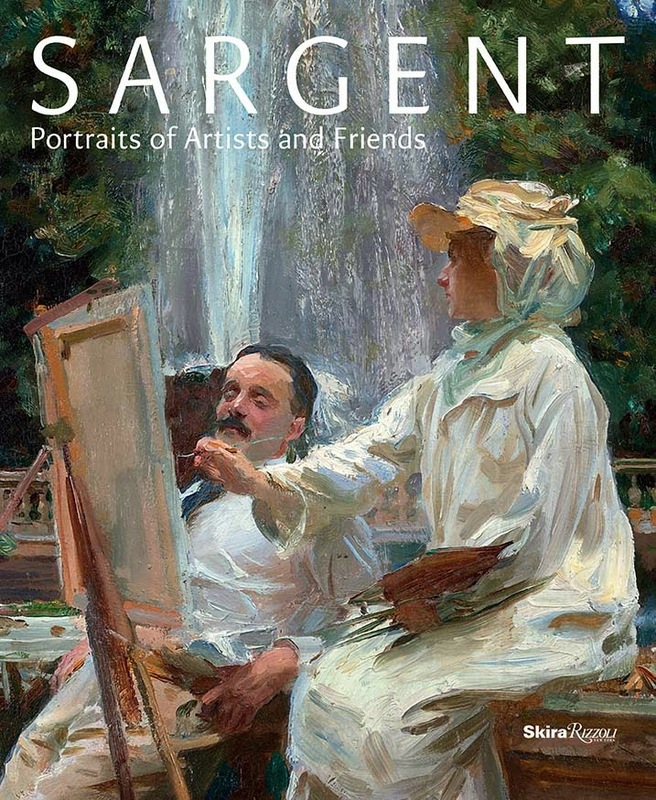 A new book, SARGENT: PORTRAITS OF ARTISTS AND FRIENDS has recently been published by Rizzoli to coincide with the exhibition through May 25 at the National Portrait Gallery in London and the upcoming show at the Met, New York. 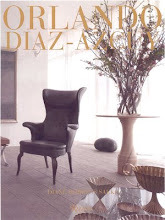 Look here for a quizzical Robert Louis Stevenson, and the stunning Eugenia Huci Arguedas de Errazuriz, and exquisite portraits of the children of his clients. These are celebratory portraits—flattering, do doubt—and lively studies of character and costume, place and time. 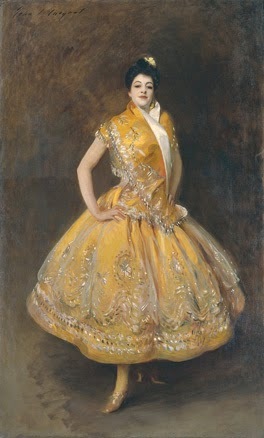 ‘Sargent: Portraits of Artists and Friends’, written by Richard Ormond, one of the foremost authorities on the artist, showcases Sargent’s cosmopolitan career in a new light—through his bold portraits of artists, writers, actors, and musicians, many of them his close friends—giving us a picture of the artist as an intellectual and connoisseur of the music, art, and literature of his day. 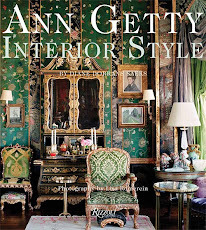 Depicted in well-appointed interiors (a palazzo overlooking the Grand Canal is always a good start) or en plein air, the vivid and playful cast of characters includes Claude Monet, Auguste Rodin, Gabriel Fauré, W. B. Yeats, Robert Louis Stevenson, and Henry James. 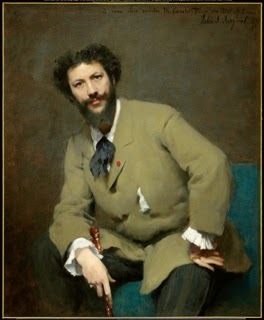 Many of the sitters for these portraits were his close friends who co-operated with the artist and posed, so Sargent was able to take a more informal, intimate approach. 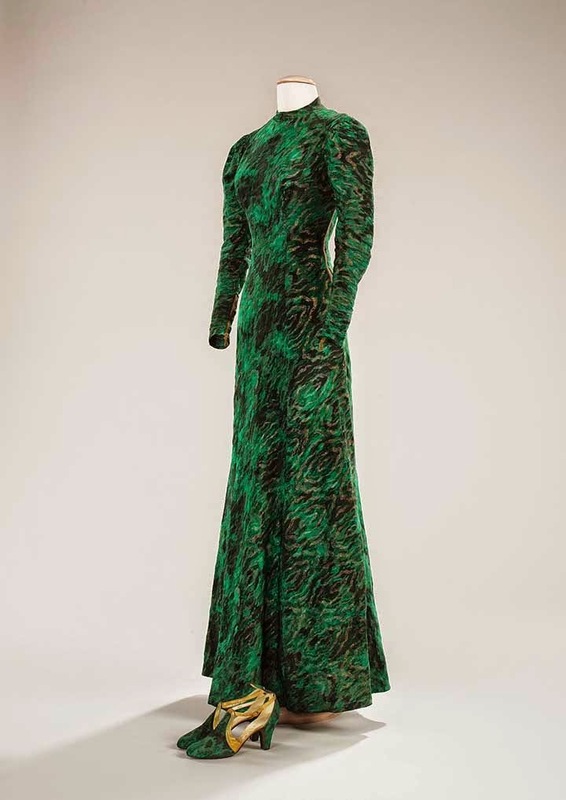 Note: this show moves from the National Portrait Gallery in London to the Met in New York, opening June 30 on Fifth Avenue. Exciting. 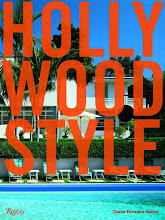 This book makes a spectacular guide and study session before attending the show. Watch for a series of paintings of Sargent’s friends in a blissful cluster (and possibly a post-prandial daze) in summer linens amidst a garden. Gorgeous. Long before there were the wonderful Alain Ducasse and the great Thomas Keller, there was the most influential French chef of all, Paul Bocuse. 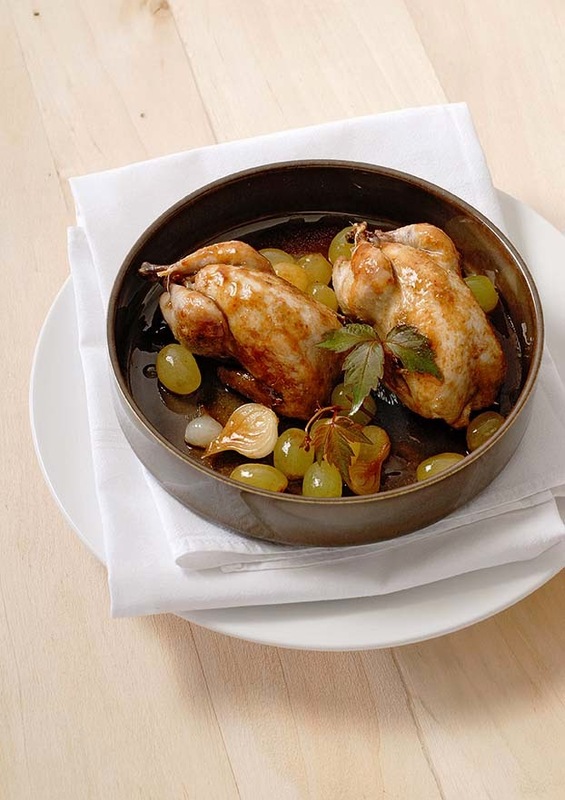 It was Bocuse who pulled classic French cuisine in a truly modern direction and called attention to the glories of traditional French cooking, in a new and fresh style. 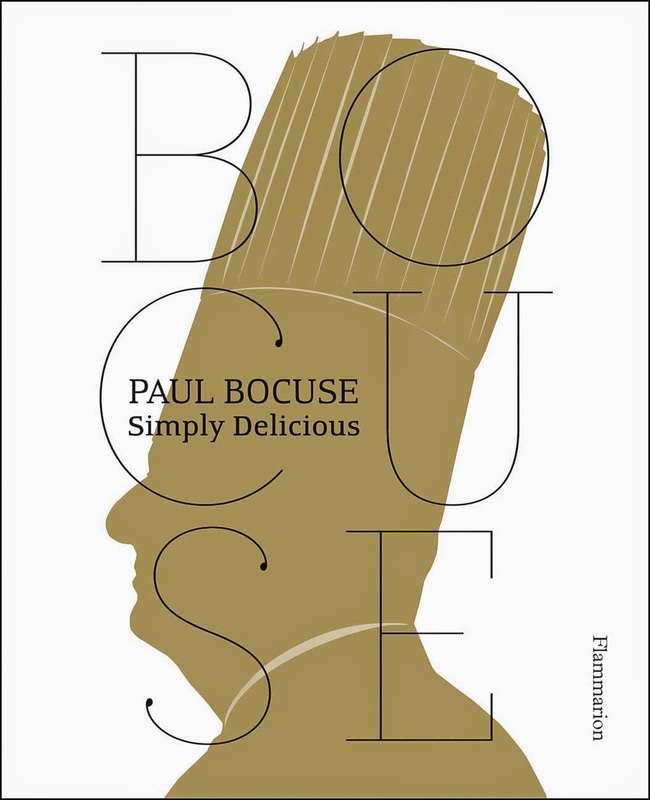 Bocuse is still the eminence grise of everyday French cooking and fine dining—and a new highly inspirational and practical cookbook celebrates his approach. 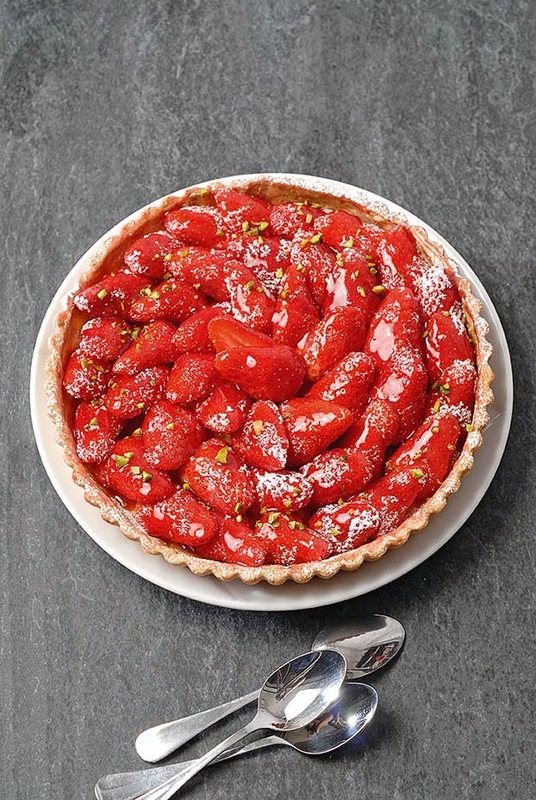 Paul Bocuse, a leader of the culinary world for more than fifty years, has selected 126 of his favorite recipes for this practical cookbook from Flammarion. 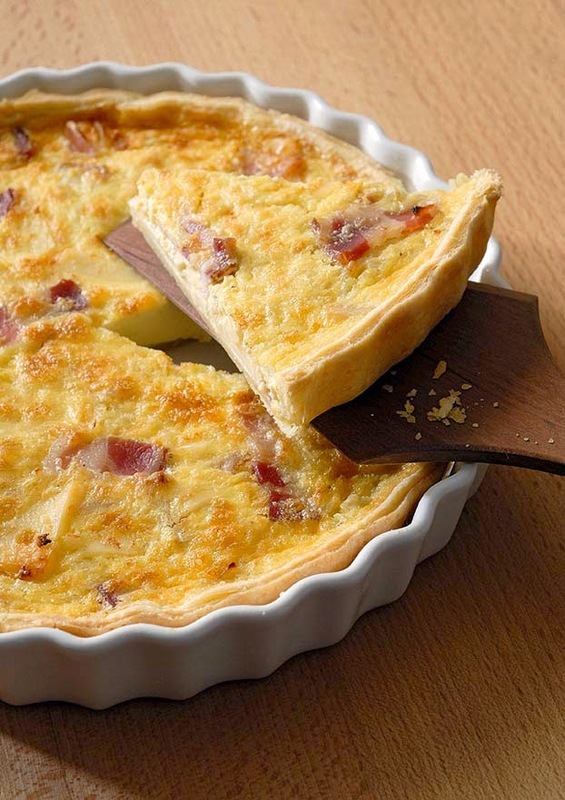 All the classics are there--and any cook would do well to start at page one, and work through each recipe to master French cooking. 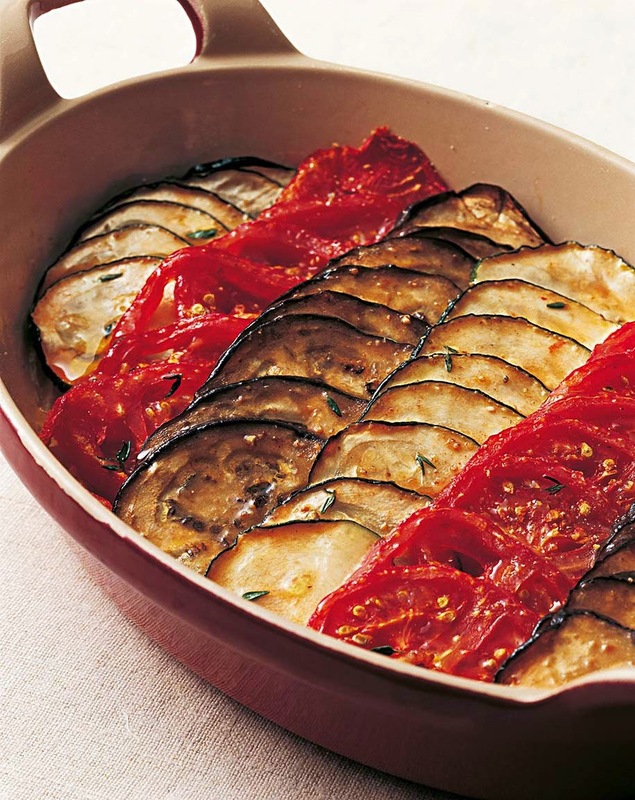 Roasting chicken and quail, making tasty tarts and perfecting fish and frisky salads, all techniques are here. 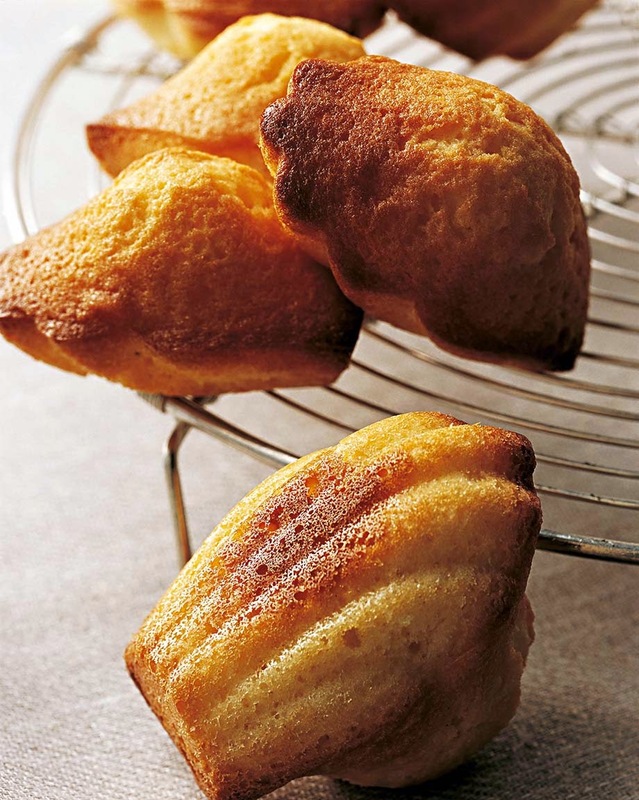 Organized into sections by course or main ingredient, ‘PAUL BOCUSE: SIMPLY DELICIOUS’ (Flammarion) offers his take on classics such as French onion soup and quiche Lorraine, beurre blanc and crayfish bisque, roasted monkfish and moules marinière, pepper steak and veal medallions, madeleines and iced cherry soufflé. It’s like having Bocuse standing in the kitchen with you, offering advice and ideas. 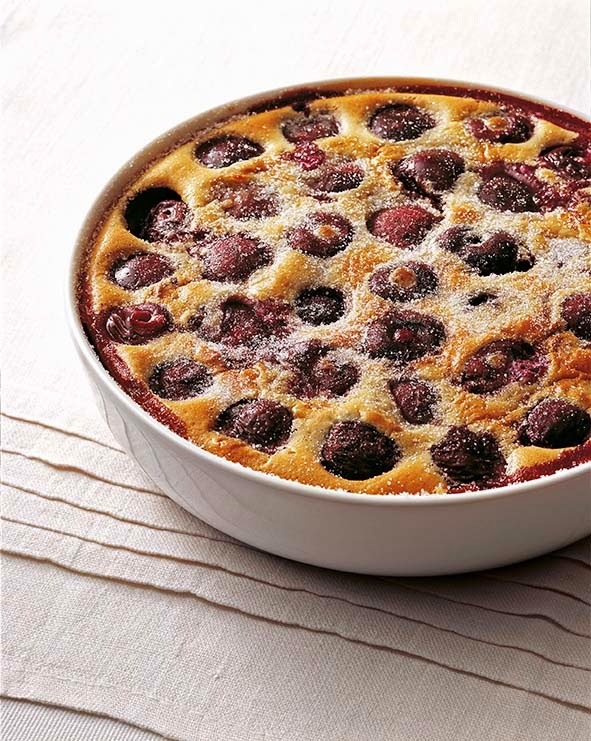 His authoritative step-by-step instructions allow the home cook to master a Parmesan soufflé, beef bourguignon with morel cream sauce, or the perfect light strawberry tart. 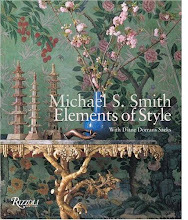 This invaluable kitchen reference from the “chef of the century” contains 78 full-page photographs, a detailed index, a comprehensive glossary, and an invaluable advice section to enlighten the beginner and expert alike. 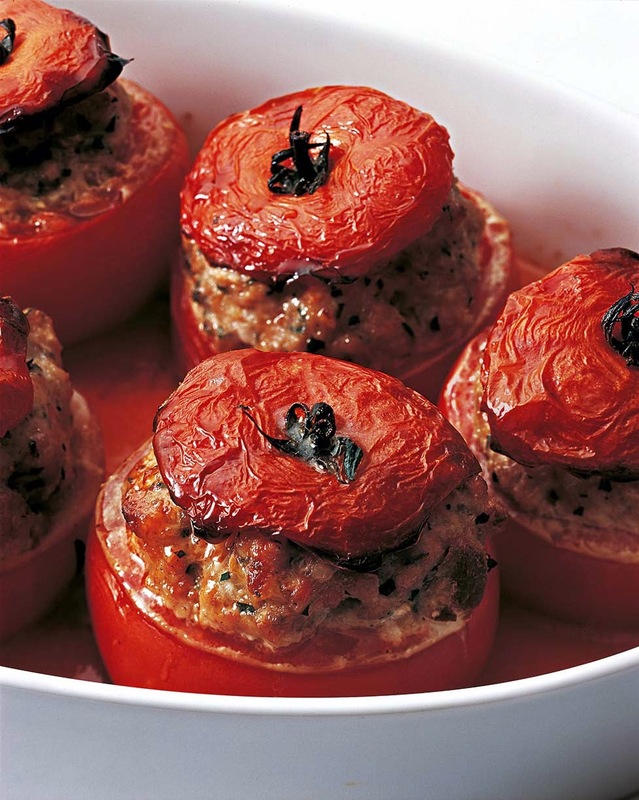 ﻿Paul Bocuse was named Chef of the Century by the Culinary Institute of America (CIA) in 2011. 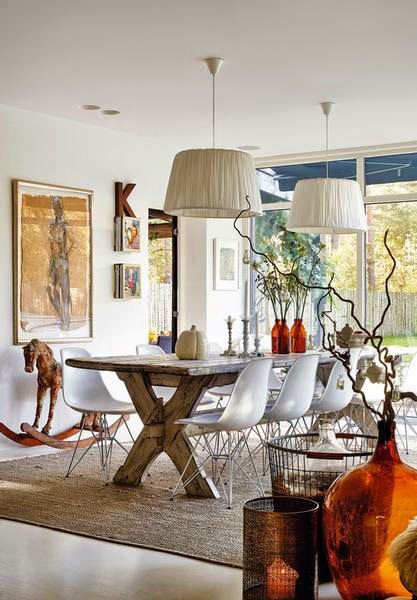 I know there are many blogs and website devoted to ‘Scandinavian style’ and most of them present either full-on fifties and sixties Danish modern, or that dreamy white-on-white décor of bare wood floors and simple white sofas and chairs with white sheepskins. 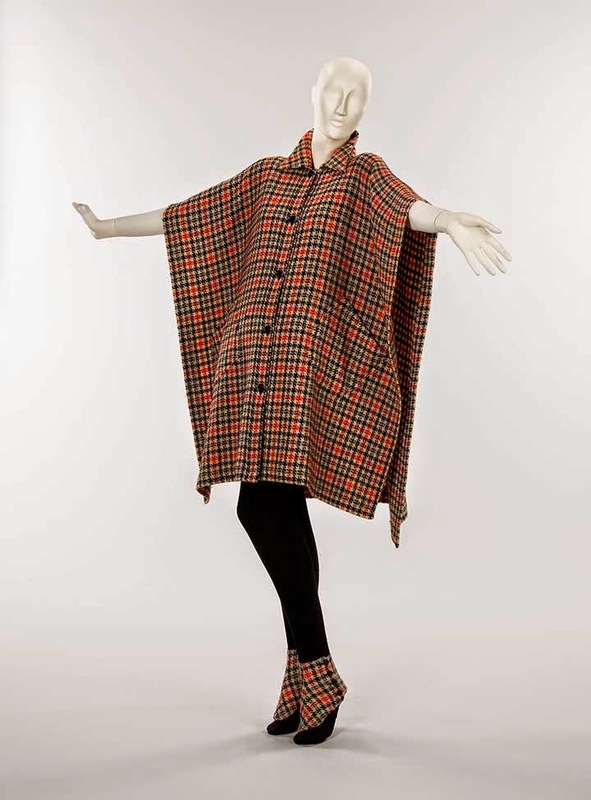 But in reality there is no one look, no one approach that exemplifies ‘Scandinavian style’. 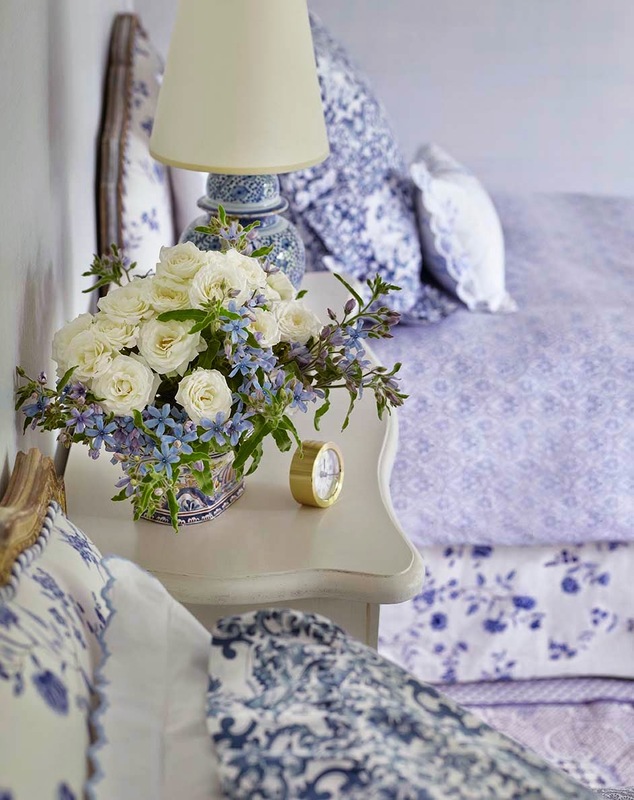 In major cities of Sweden, Norway, Finland and Denmark interiors are more likely to look ‘cozy’ with frilled curtains, candles in the window and Josef Frank floral prints on sofas. 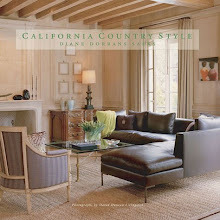 In the country and on islands of the archipelago, the look is a simple weekend cabin with family heirlooms and duvet-draped beds. 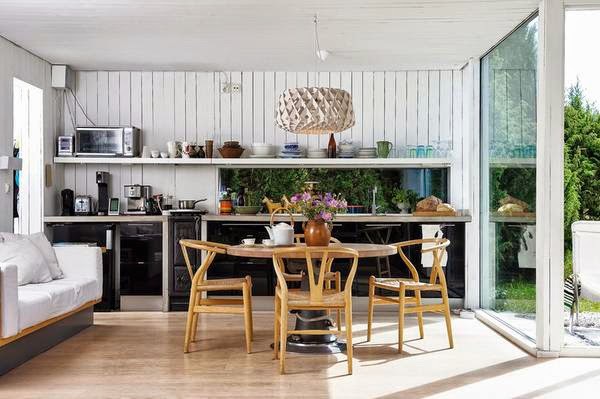 These looks and many others are presented strongly in the new book from teNeues, LIVING IN STYLE SCANDINAVIA which takes readers on a tour of rooms in the all-white spectrum, as well as farmhouse interiors and city digs with graphic prints and colorful glass collections. 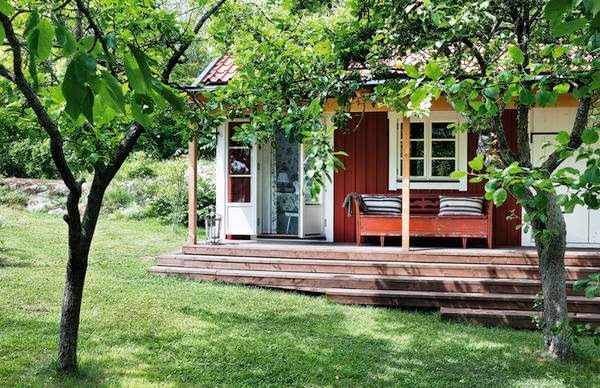 There are enchanted island cottages (open in summer only), as well as city apartments and country houses in traditional styles deeply connected with nature. 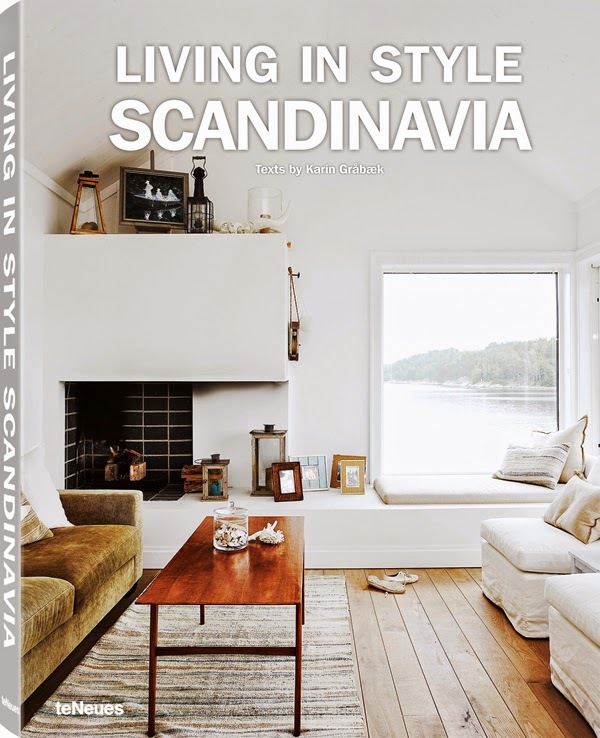 The book offers a refresher course on Scandinavian styles, and for me it was inspiration to plan a trip to Sweden as soon as possible. 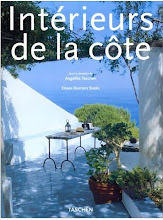 All images here are used with express permission of the publishers, Rizzoli, Flammarion and teNeues. With thanks and appreciation.